Dog parks are a hot topic among dog trainers. 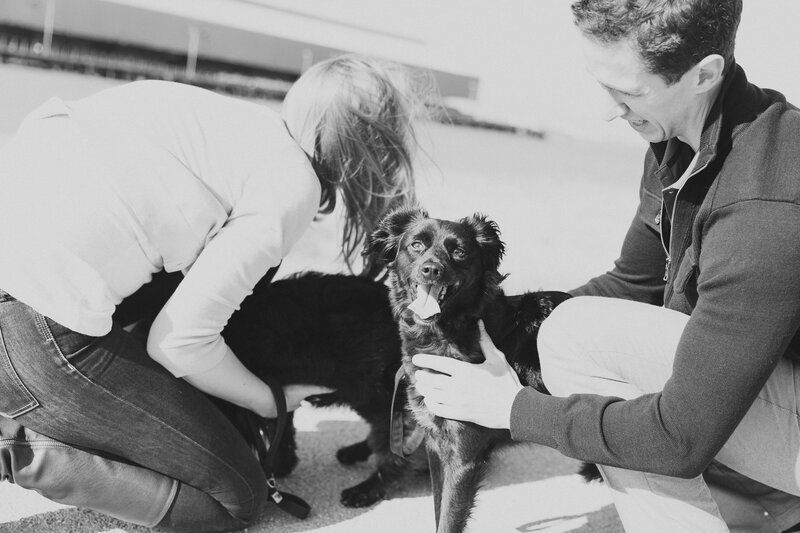 On one hand, they are wonderful places to socialize your dog with fellow dog lovers. On the flip side, they can be the source of many health and behavioral complications for dogs. 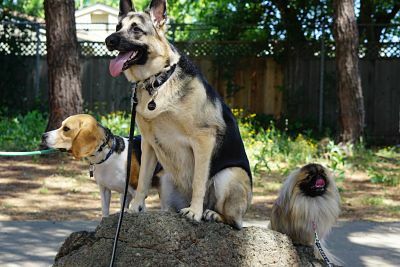 This article is not meant to sway you one way or another, but more to discuss the pros and cons of the utilization of dog parks. First let’s start with the positives. Who doesn’t love a place where you can turn your dog loose and let them enjoy being a dog?! This is a great way to spend those weekend afternoons, or hours after work, to let your dog play with his friends and burn off some excess energy. Dogs often learn a lot from interacting with one another, so engaging in proper play with other dogs can help you dog learn some much needed manners. I also utilize dog parks as a place to train my dogs. I will work with dogs outside of dogs parks to train engagement skills and desensitize reactivity. Dog parks are also great ways to meet with other owners and problem solve for challenges you might be facing, or find well matched play mates for puppy play dates or a friend to help watch your dog when you’re out of town. As much as dog parks can work well for some dogs, there are some dogs that are not suited well for dog parks, and dog parks can come with some risk. As much as well all try to be responsible about our dog’s health, doggie diseases like giardia can be asymptomatic or dormant in one dog, and it is very easily transmitted between dogs in areas like dog parks. There are also no regulations on who can and cannot go into a dog park. While daycares require temperament tests and vaccination records, there is no one at the dog park to ensure the dogs are healthy or friendly with other dogs before entering. As a trainer, I cannot say how many times I have heard, “My dog was super friendly, until he got attacked at the dog park”. Not every dog will get along with every other dog they meet, and without very extensive knowledge on dog behavior and body language, you might not be able to prevent a fight before it happens, and the consequences of a fight can be long lasting emotionally for some dogs. Just as dogs can learn good behaviors from each other, they can also learn poor behaviors from other dogs. Whether you love them or hate them, dog parks have become very popular for people to frequent with their pets. The best thing you can do, is educate the public on how to safely enjoy the space. Sit outside of the park for a while and make sure you are comfortable with how the dogs are interacting with one another and if the owners there are adequately paying attention to their dogs. If it seems like there are some dogs that are too pushy, or owner are just sitting around on their phones, it is probably safer to take your dog for a leisurely walk instead. Stay vigilant and pay attention to your dog. Most dogs prefer attention from their owners, so don’t just go to the park to watch. Actively play with your dog and make sure they are getting stimulation from you as well as their friends. If you have a dog that is not suited for dog park play, that is ok!!! So many people think there is something wrong with their dog if they cannot handle dog parks, and that is so far from true. Some dogs just don’t enjoy the company of other dogs and benefit from individual play time or time with select doggie friends. Above and beyond anything else, focus on the safety and health of your own individual dog! If you enjoyed this post, you should read Tips To Help Fear Aggression here. Do you have a favorite park? If so, why do you love it? Share below! Learn more about Marie, our trainer guru, on our About page.